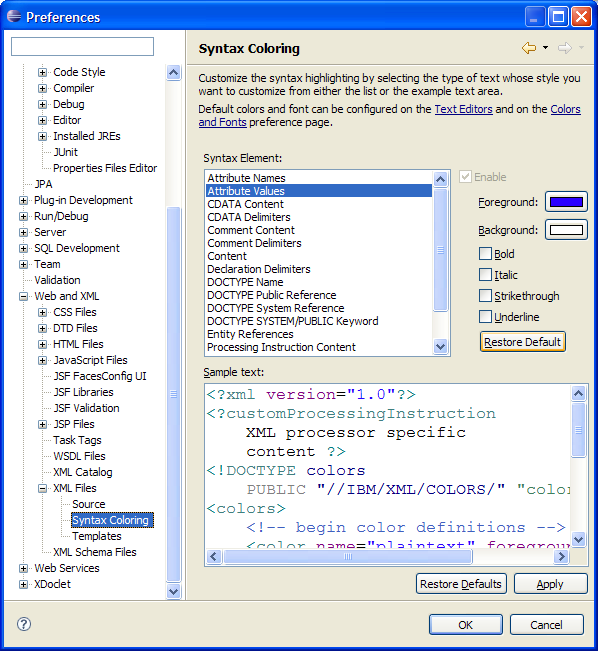 Syntax Coloring preferences for the WTP source editors now resemble those of the Java and C/C++ editors. Users can still click within the Sample text to find the matching style, however. The command previously known as Format Document will now just be known as Format. This is because if the user selects some text, the Format command will now just format the elements selected. 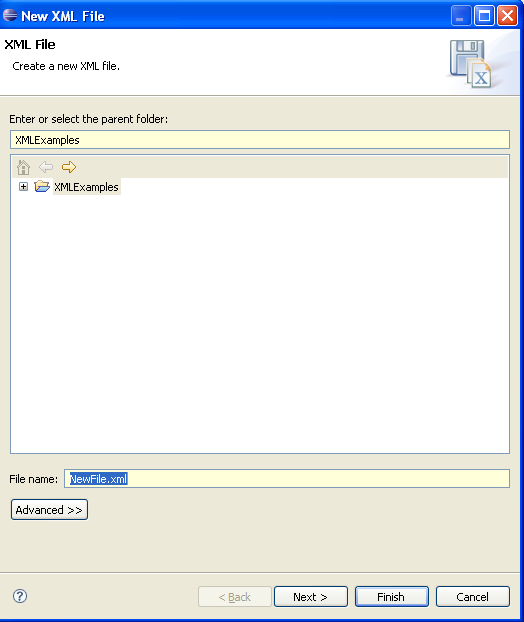 If no text is selected, Format Document is performed. 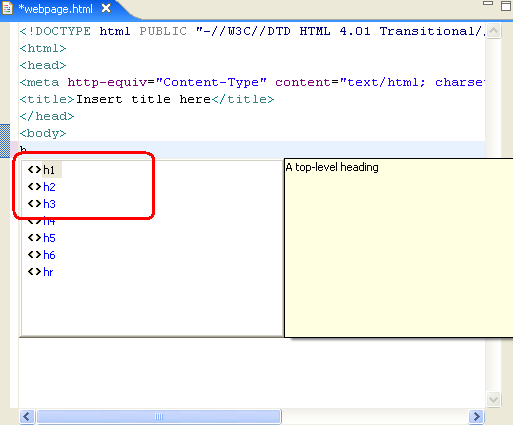 The Format Active Elements command remains the same. 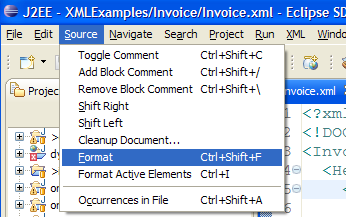 When users invoke that action, it will format the element the cursor is currently on. 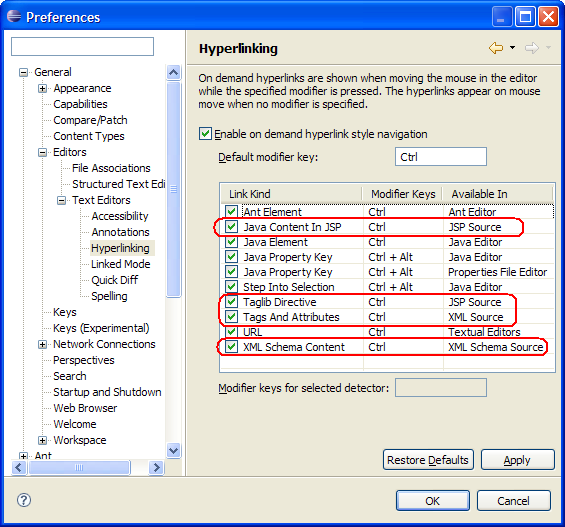 The Eclipse platform has implemented a Hyperlinking preference page for Text Editors where users may specify the kinds of hyperlink navigation they want enabled. The kinds of Hyperlink created by the WTP source editors are now available in that list. This new preference page can be found under the Text Editors preference page. The source editors now follow the Text Editors Smart Home/End preferences. For users who would rather not have this behavior, it can be disabled from the Text Editors preference page. 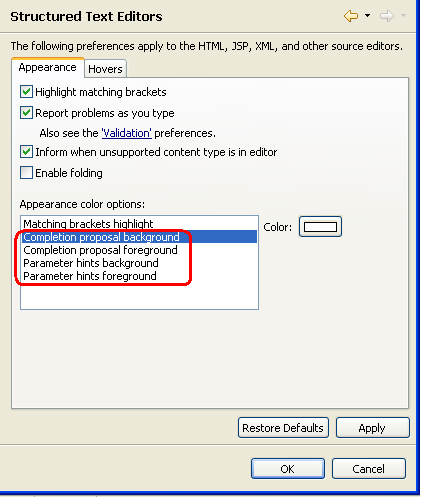 Users can now specify their own color preferences for the background and foreground of the completion proposals and parameter hints popup windows. 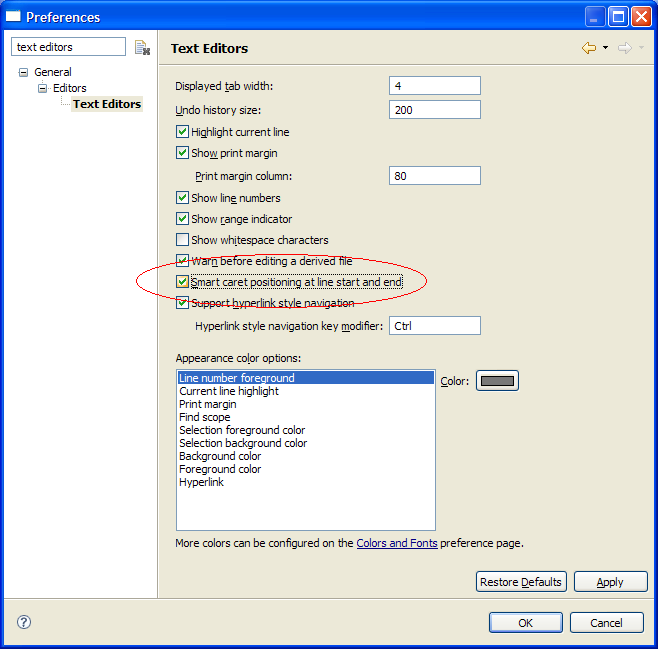 New preferences are found on the Structured Text Editors preference page. 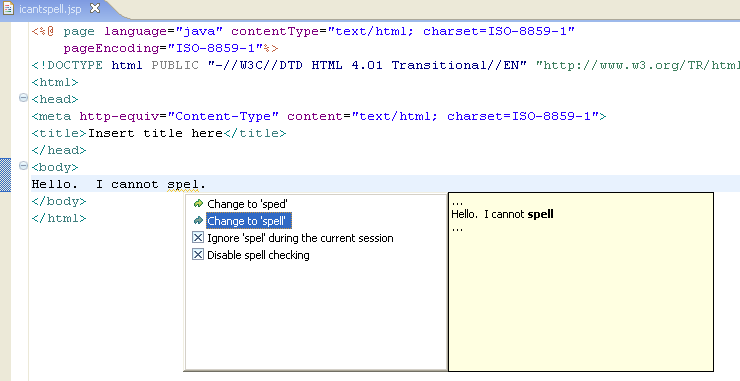 The first two pages of the New XML File wizard have been reordered to conform to more typical wizard behavior. Users can now specify a file name and click Finish if they want to use the defaults or proceed by clicking Next to specify more options. Users can now specify their own color preference for entity references. 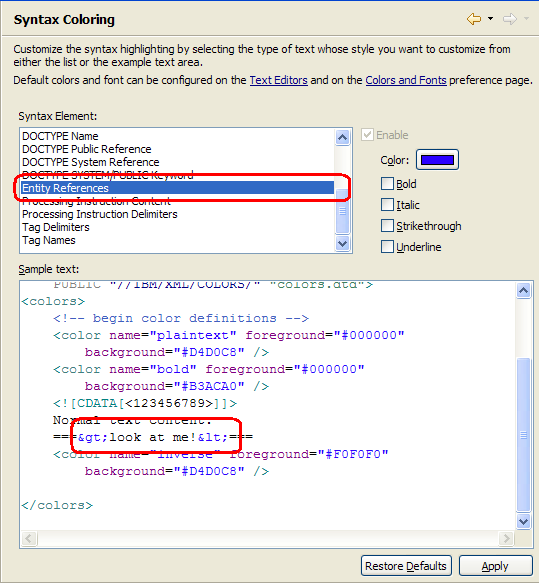 The new preference can be found in the XML Syntax Coloring preference page. 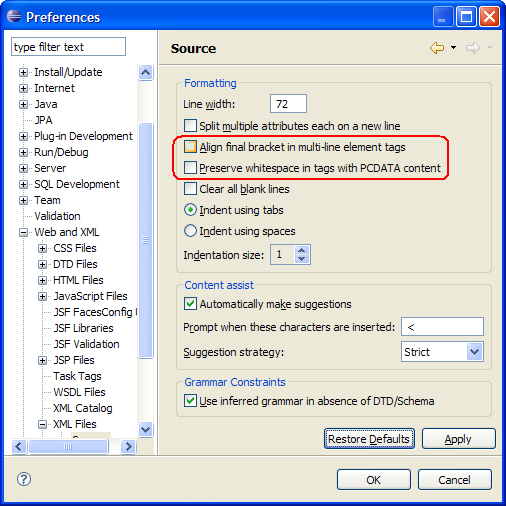 Users can now specify if they want all text and whitespace to be left alone in tags with PCDATA content when formatting the document. Users can also specify if they want the formatter to align the end bracket of their start tag with the begin bracket for tags that span more than one line. 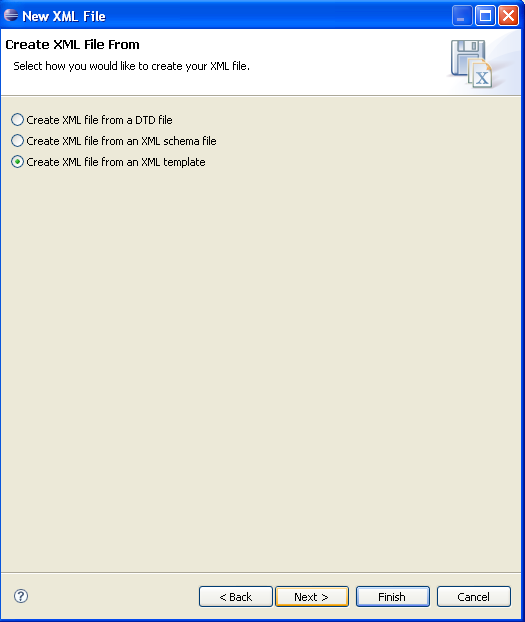 These options can be found on the XML Source preference page.